Call or visit the website for information. 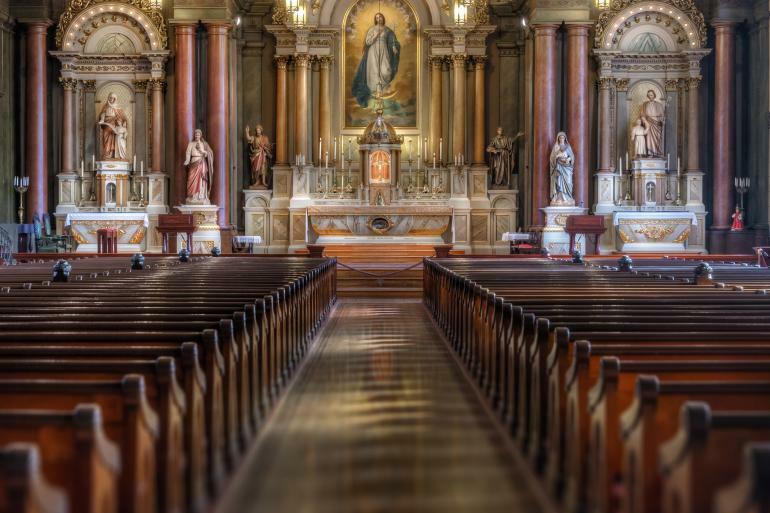 On July the 3rd, 1842, St. Mary's Church was dedicated to God, under the title of the Annunciation, on which feast day the cornerstone was laid. It was the largest church thus far erected in the Mississippi Valley, being 142 feet long, 66 feet wide, the tower reaching the height of 170 feet. The architectural style of St. Mary's is eclectic. The engaged pilasters and classical entablature are in the Greek Revival style. The round windows of the facade add a touch of the Baroque, while the frames of the window and the ogive and quatrefoil openings in the tower show signs of the 19th century's growing interest in Romanesque and Gothic. In 1842, a clock was installed in the steeple of St. Mary's. The original face and mechanism are still in place, but the weights and pendulum were removed when the clock was electrified over 100 years after its installation. St. Mary's is the oldest clock tower in Cincinnati, and one of the oldest in the United States. The first bell was blessed and placed in the tower in 1843. Levi Coffin, a leader of the Underground Railroad who personally helped over 3,000 slaves escape to Canada, cast the first bell to be placed in the clock tower. After it was installed, the bell served many years as the fire alarm for the northeastern section of the city. The interior of the church is richly embellished both with works of art and objects of devotion. Especially noteworthy are three oil paintings of the Blessed Virgin Mary above the main altar. Fifteen feet high, the paintings are changed at appropriate seasons of the year, being hoisted into place by a system of pulleys. Visible under the high altar are the bones of a woman martyr discovered in 1844 in the Roman catacombs and brought to Cincinnati by Father Clemens Hammer, first pastor of St. Mary's. 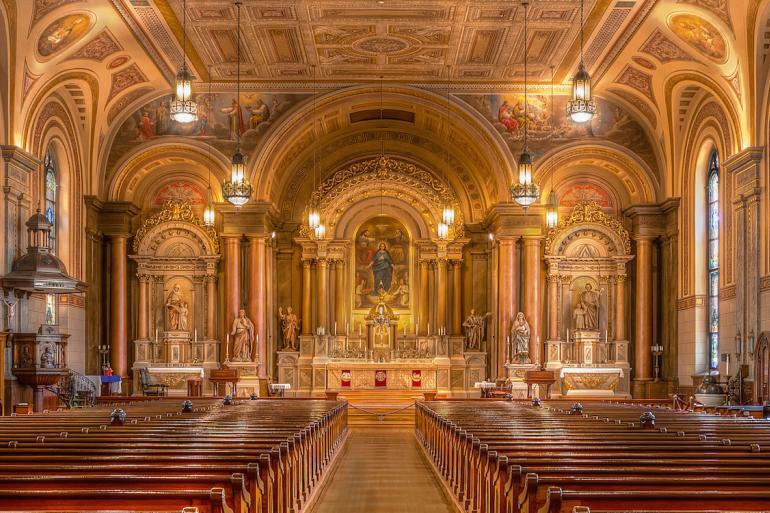 You don't need to join the congregation to tour and appreciate these picturesque churches, temples, and mosques in the Cincinnati region. Get a taste of Philly in the heart of Cincinnati at 13th Street Alley's order window for flavor filled Philly Cheesesteak! A low key cocktail bar and cafe with expertly crafted drinks, rock solid beer and wine and old world inspired food. Scratch made pastries, desserts, and baked goods highlighting seasonal and local ingredients.